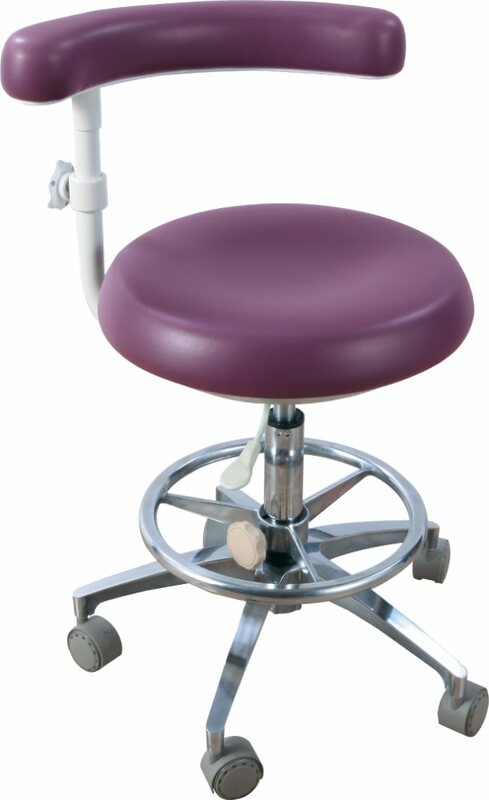 The Flight Deluxe Assistant Stool offers smooth and comfortable seating for any dental assistant. The dual casters are made with high quality material that can prevent debris on the floor from getting caught in the wheels and can also be use on all types of surfaces from carpet to ceramic tiles. 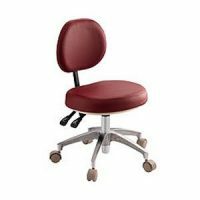 The ergonomically designed deluxe assistant stool with an abdominal arm support that can you can adjust the height as well as rotate it 360° around when exiting the chair. 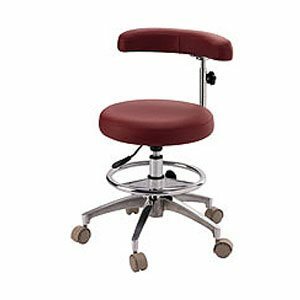 The stool is also equipped with a stool ring to provide the proper support for your feet to allow the user to situate themselves higher than the patient and doctor to anticipate and be prepared for the next move.